Ready to get moving? Clinton's outdoors opportunities include over 300 acres of parks for you and the whole family to explore. If your passion is hiking, biking, bird watching, swimming, golfing, fishing, seeking out breathtaking views, or simply being out in the sunshine, you'll find it all and more in Clinton. Discover experiential trail and bike routes on the Iowa Transportation Map for Bicyclists. Request a map from us and find other trail guides. 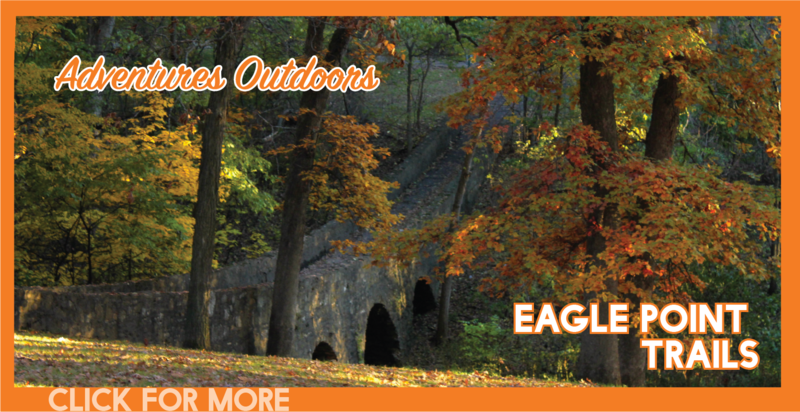 Hiking isn't just for the warmer months, check out places like the Soaring Eagle Nature Center for seasonal events and guided hikes through changing leaves and snow-dusted paths. 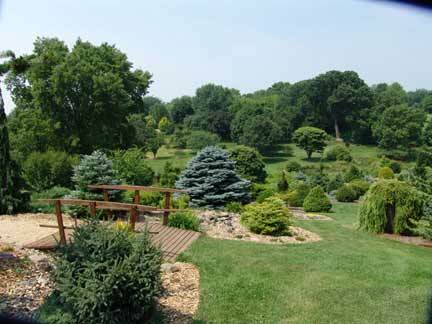 This nationally-recognized fourteen-acre outdoor museum of select-labeled trees, shrubs, ground covers, perennials and annuals, features one of the top garden conifer collections in the country, numbering more than 600 cultivars. Other collections include native prairie grasses, flowering trees, shrub roses, wildflowers, ornamental shrubs, as well as Stout Medal daylily collections, Monarch Watch butterfly station, American Hosta Society National Display Garden, bird haven and herb garden. A library, meeting sites, water features and museum display of native animals and birds are also on site. Open to the public year round from dawn to dusk. Clinton’s Discovery Trail is dedicated to three Clinton County astronauts: Cmdr. Dale A. Gardner (U.S. Navy), Dr. George D. (Pinky) Nelson and Col. David C. Hilmers (U.S. Marine Corps). Trail users will enjoy scenery of the Mississippi River. Riverview Park has many recreational facilities, including tennis, swimming, minor league baseball, and camping. Eagle Point Park features scenic bluffs. The trail now connects through Downtown Clinton, offering a 14 mile continuous trail from Eagle Point Park to Camanche, IA. Park area includes: basketball, cross-country skiing, playground equipment, picnic tables & grills, restrooms, shelters. 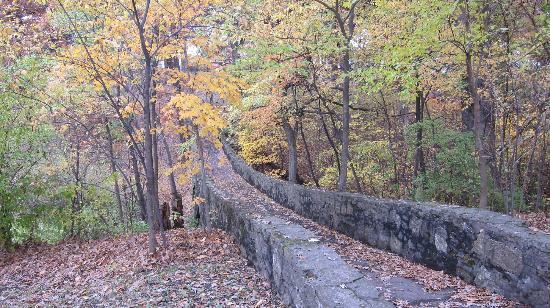 Picnic, hike or cross-country ski around this 200-acre park of spectacular bluffs along the river in Clinton. A 1937 Stone Tower provides a spectacular view of the Mississippi River and surrounding area. Children’s playgrounds are situated throughout the Park. The North end overlook provides a panoramic view of the widest part of the entire Mississippi River. The park is a facility of the City of Clinton. The Lodge is rustic in nature and was built in 1937. The Lodge is adorned by glass-screened fireplaces and provides a cozy ambience for any event. The vista span of the Lodge highlights the sparkling waters of the Mighty Mississippi River and overlooks Lock and Dam 13. The annual migration of eagles highlights a spectacular view from the glass windows that are a part of the charm of this facility. The heated and air conditioned Lodge is available year-round as a rental facility. 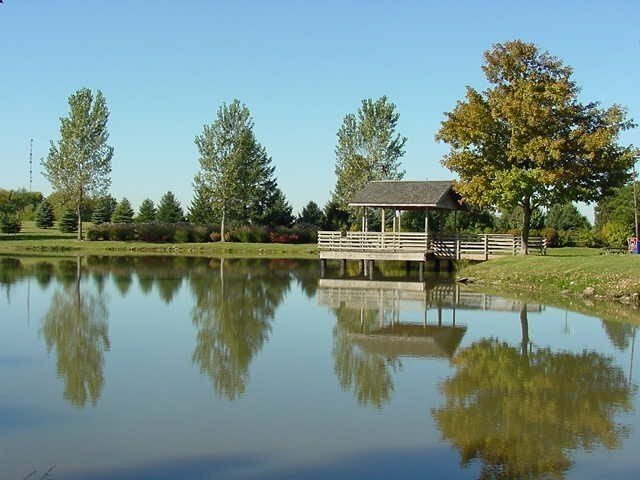 This 148 acre park includes: ball fields, tennis courts, cross-country skiing, hiking and biking trails, playground equipment, a concession, picnic tables and grills, restrooms and shelters, a lake area, and a golf hitting area. The Andresen Nature Center features displays of local wildlife, insects, and flora found along the local watershed of the upper Mississippi River. Located within 100 yards of the Mississippi River and adjacent to Heritage Canyon in Fulton, IL, the Center is dedicated to providing insight into, appreciation for, and conservation of our local natural resources. Providing the Clinton, Camanche, and Fulton area fresh, locally-grown fruits, vegetables, baked goods, meat, jams, honey, crafts and friendship. Come down Wednesday afternoons and Saturday mornings to treat your family and yourself to healthy food. Open seasonally from May to November. 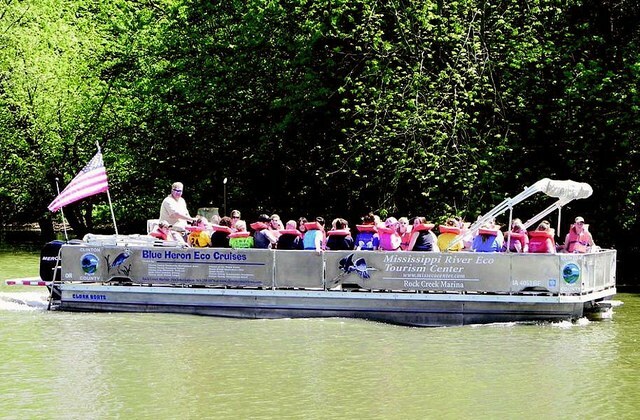 The Blue Heron is a 26-passenger pontoon boat that gives cruisers an up-close and personal look at the Mississippi River. It's a fun way for people to talk, laugh and celebrate nature together. A naturalist will conduct tours through backwaters, sloughs and the main channel. Fish, wildlife & bird habitat, hunting, fishing, recreational boating, gravel pits, barge traffic, endangered species and water quality are all part of the ecological puzzle of the river. Reservations are recommended. Located at Rock Creek Marina & Campground in Camanche IA.This state-of-the-art eco-tourism center will educate and entertain tourists, as well as continue to provide an excellent place for schools, clubs and retreats to explore the great Mississippi heritage. The centerpiece of this center is a 9,000 gallon aquarium that measures 20 feet long, 6 feet high and 10 feet wide. The aquarium is stocked with Mississippi River fish species, along with large wetlands display, highlighting reptiles, amphibians, waterfowl and other species that call the backwaters and sloughs of the Mississippi home. The Eco Center is also home to a large collection of replicas of Iowa state record fish species, including the largest large-mouth bass to the biggest flathead catfish and fish species in between. These replicas give visitors a vivid impression of just how large our aquatic friends can grow. It is the only place in Iowa that you can see such a vast collection! You and your canine buddy can enjoy over 8 acres of off-leash adventures at our nationally recognized Prairie Pastures Dog Park! We have something for every dog- small dogs, older dogs and adventuresome dogs! Prairie Pastures is a unique, one-of-a-kind dog park experience. It is located on the site of an old zoo, which offers unusual structures and varied terrain, including a swimming pond. Our park is very spacious and the terrain, structures and vegetation amplify that spaciousness by providing visual and sound barriers, which give the dogs the choice of exploring alone or playing with others. There are also many different gated sections giving plenty of separate areas to meet everyone’s individual needs, especially senior dogs and citizens. The Nature Barn is open for special events throughout the year and during the school term for conservation educational classes. 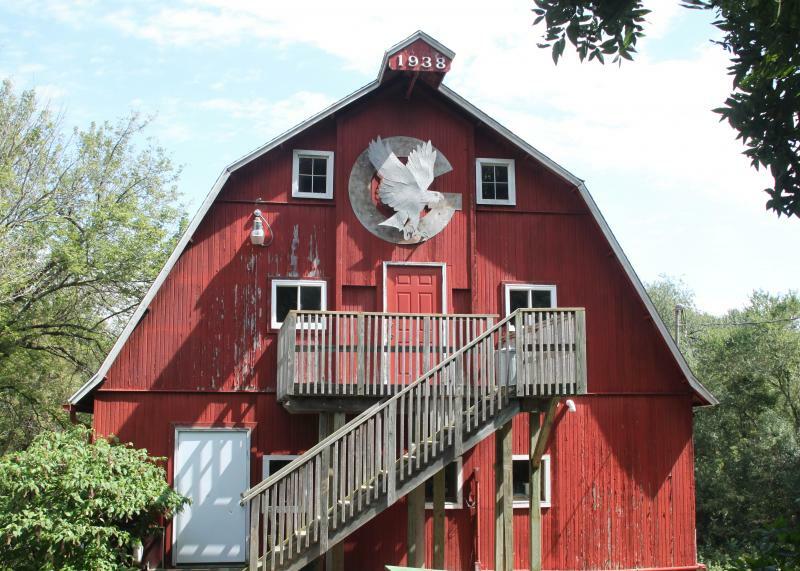 Hiking trails, natural prairie, one-room schoolhouse, nature center and butterfly garden. Wide River Winery in Clinton houses both the winery and original tasting room, as well as 9 acres of vineyards. 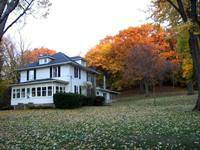 It has a large partially covered deck with views of the Mississippi River at its widest point. Sharing wine with the public since 2005, we're grateful to have won a number of awards and call Clinton, Iowa home. We look forward to seeing you for a wine tasting soon.